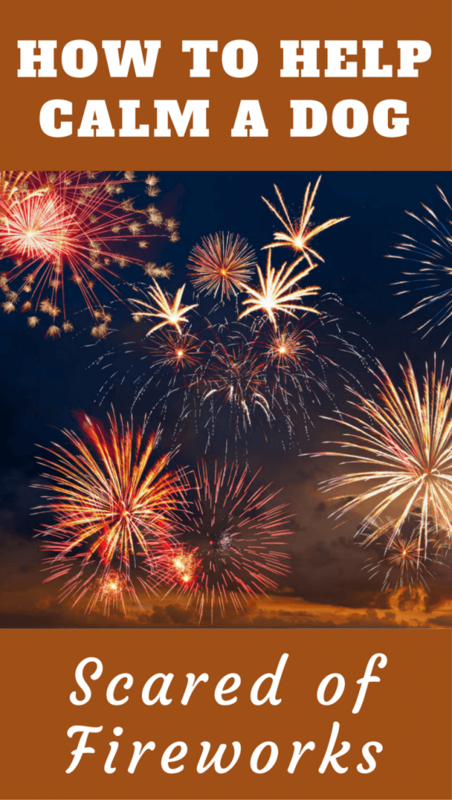 For many pet owners, the dazzle of fireworks displays are accompanied by worry of how their pet is fairing with all of the noises, lights and smells that accompany this pyrotechnic pandemonium. There’s no doubt about it – holidays that include fireworks are dreaded by our four-legged friends! Some experts estimate that as many as 40% of dogs have some form of noise phobias; so there’s good reason to be concerned. More dogs run away from home during firework holidays than any other time of the year. 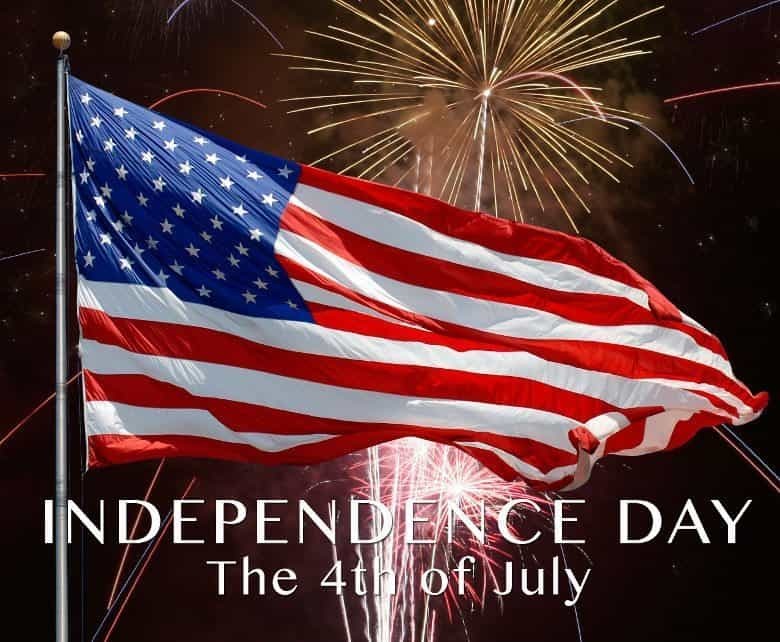 In fact, every year American shelters staff up for their single busiest day – July 5th – the day after the Independence celebration. Many areas are flooded with lost dogs who panicked during the previous evening’s festivities. Pets don’t need to be lost each year to fireworks. With a bit of planning, you can make the firework holidays a bit easier for your pup to endure while making sure they stay safe. Note: Some of the links above take you to more information, current prices and customer reviews on Amazon or Chewy. 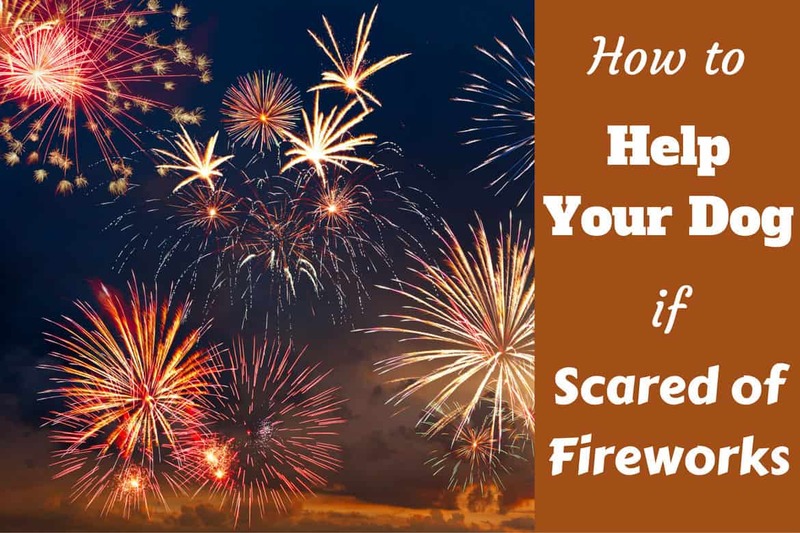 How are Fireworks Fears Reinforced? When Do Dogs Experience Fireworks? Have you ever been having fun relaxing with friends and someone pops a balloon behind you, or drops a stack of heavy books next to you? If you aren’t expecting it, you may jump a few feet in the air while your friends laugh at the joke. This gives you some indication of what your dog experiences every time the sky explodes with fire, light and sound. Dogs, unlike humans, have amazing hearing and smell. They also don’t understand that we have tamed fire, which nature has rightfully taught them to fear, into a colored cacophony solely for our amusement. To dogs, fireworks are noisy, visually scary, unpredictable and smell like something is burning. Dogs have very sensitive hearing, and the blast of the fireworks is so much louder than we can imagine. Their nose picks up the smoke scents in the air. They also see the flash of fire in the sky. This bombardment of their sensitive senses causes many dogs to feel overwhelmed and want to escape. When you see things from their perspective, can you blame them? Let’s face it, anyone jumps at unexpected loud noises. In the same way, dogs have no warning that a firework barrage is coming and react as nature intended. Dog’s fear of fireworks is development by a two-step process. The dog reacts to the stimulation by moving away through the fight or flight response. It’s just as automatic as jumping when someone scares you. In the wild, this response would serve them well. Many loud sounds are dangerous: trees falling, lightning strikes, gun shots, growling animals and roaring water. Fireworks sound like something to be feared. This is when the dog learns that his initial fear reaction is correct and creates a pattern in his mind that associates the stimulus with a flight response. If the dog experiences pain or other unpleasant emotional responses, this continues to reinforce it. Fear is also exacerbated by other pack members exhibiting similar terrified responses and by owners rewarding the anxious behavior through petting and praise when the dog is in a panicked state. You have no control over the first reaction, other than keeping your dog from experiencing it if at all possible. However, you do have some ability to influence the second part of the fear process through training, creating positive associations and keeping your pup away from other anxious people or dogs. Dogs have multiple chances to experience our pyrotechnic obsessions. In America, the entire Independence Day revolves around fireworks. However, these popping party favors are also seen during Christmas, religious festivals, New Years and, if in the UK, Guy Fawkes Night. Many people also shoot them off after sporting events, to celebrate birthdays and sometimes just for some summer fun. While you can’t always anticipate all fireworks in your dog’s life, you can determine the events most likely to cause them major anxiety. You then can work proactively instead of reacting on the night the pyrotechnics hit the fan. Now, if you’re reading this on July 4th a few hours before the light show begins, don’t panic. There are still things you can do immediately to calm your dog so that their version of Armageddon isn’t too overwhelming. So many pets are lost during fireworks celebrations. Dogs that normally never try to escape will suddenly claw at walls, break through windows and climb fences to get away from the horrible fire in the sky. They panic and run away from the noise, but then can’t find their way home. Make sure your pet has your contact info on their tag and is microchipped in case they break free of their collar. If you live in a neighborhood where fireworks are prevalent, try to see if you can spend the weekend away from all the chaos at a friend’s house out in the country. Make sure that this is a familiar place for your dog where they feel comfortable. Keep your dog inside with you, as you never completely know if you will be able to get away from everyone’s festivities. Do you ever have a day where you just want to crawl back in bed and pull the covers over your head? Dogs often feel the same way! Many dogs try to crawl under and into small spaces when they are scared. If your dog is crate trained, be sure to leave a comfy crate open so they can hide and feel a bit more secure. If they have already picked out another space that they feel is safe, make it even more comfortable for them. Don’t force them out of this safe place. Instead, allow them a place to decompress and calm down. Many veterinarians will provide some sedatives to pet owners before a night of fireworks. They may give them a dosage of Benadryl or go for a stronger prescription. Please consult your veterinarian before giving any medication to your pup. Dogs sometimes respond to having pressure surround them, which gives them a calming sensation. Products such as the ThunderShirt help reduce anxiety for dogs in general. While they are often used for dogs with a fear of thunderstorms, the ThunderShirts also help with firework-induced anxiety. It’s thought that these shirts work in a similar fashion to swaddling an infant or applying pressure to reduce anxiety in autism patients. Studies show that 80% of anxiety dogs show improvement with pressure therapy. It’s an old saying, “A tired dog is a happy dog.” Fear takes energy. If you’ve done a good job of tiring your dog out before the light show begins through a good walk and play session, they will probably have less mental mojo to freak out. Every year, thousands of pet owners lose their pets because they left them outside. Dogs that normally stay close to the house will run off. Pups that are safe in a fence will do anything to get away and will climb or dig to escape their version of World War III. Dogs that normally lay quietly at your feet will try to scratch through a window. If your dog is fearful of fireworks, you can’t expect them to act normally on a night the sky is exploding. Keep them inside and either stay with them or have someone you trust watch over them. When your pup is inside, you want to limit their exposure to fireworks as much as possible. Remember, they can hear and smell much better than you can. Keep tranquil music or television noise playing to drowned out the sounds from outside. Have them in a well-insulated house and keep the windows and curtains closed. Turn on artificial lights to eliminate the outside flashes more easily seen in a darker room. When dogs are scared, it’s best to defer their energy from fear to fun. Do they have a favorite toy or treat? Then, try to get them involved in their most cherished activity so they don’t obsess about what’s happing outside. If your dog enjoys playing with treat-release puzzles, put their top treat in the toy and try to engage them in getting it out. Dogs also find comfort and relaxation in chewing, so this is the time to give them a safe chew to put their energy into instead of worrying about the noise. There are aroma therapy tools, such as D.A.P., herbal supplements, massage or sound therapy options on the market to help calm your stressed pup. Other natural methods can also be very effective. 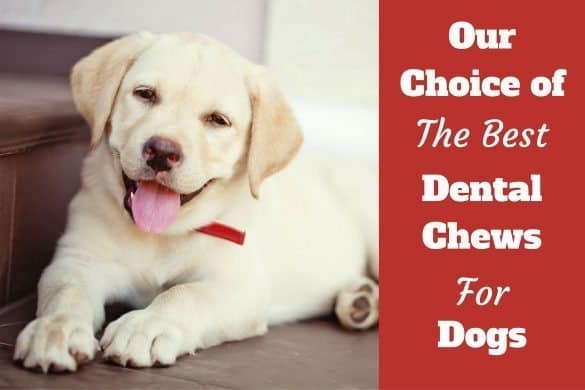 However, experiment with these options before the fireworks begin, and consult with a veterinarian to find out what works best. Have you ever gotten really scared? Once your adrenaline is pumping, it’s so much harder to return to a calm state. It’s better to prevent the panic in the first place. Dogs are the same way. Whatever you are planning to do to help your dog cope with fireworks, start the therapy before the fireworks begin. Even sedation medications take longer to work when given after the dog is already in a state of anxiety. Plan ahead before your dog reaches a panicked mindset. Dogs take their cues from you as their pack leader. You can’t expect them to remain calm if you’re excited or anxious. Also, don’t reinforce their nervousness by rewarding the behavior. While we may want to comfort nervous dogs, petting them when they are already anxious positively reinforces the fear. You want to pet them for moving toward confidence and redirection, not focusing on the fireworks. Of course, we would all love it if dogs never became scared of fireworks in the first place. 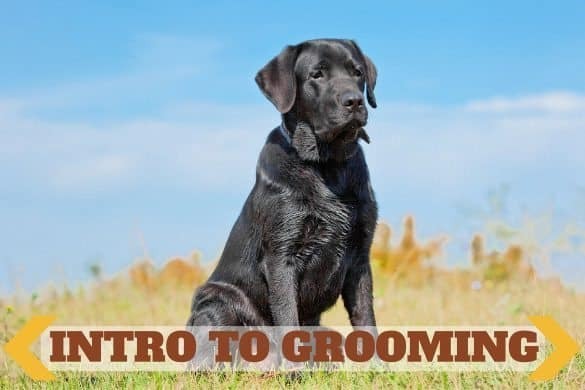 If you start working with your dog as a puppy, you can often accomplish this training. Many dogs are naturally easy going and don’t panic when they encounter fireworks. However, you can’t simply hope that your dog’s personality will do your training for you. There are ways to condition your puppy to not fear fireworks. You must introduce them slowly and train them that popping noises equal good things. In puppy development, the time period from about three weeks to three months is crucial for them to experience their world. Puppies are in full curiosity mode and need to be socialized to everything they will encounter as adults. This is the time to introduce them to new people, experiences, places and sounds in a positive way. If the firework sounds are introduced correctly, the puppy is less likely to react with a fear response during this time period. There are numerous firework sound CDs available. These are great tools, as they allow you to control the volume and timing of the noise. Start with the volume low at first and only play the firework sounds when good things happen. For most dogs, good things are usually play, meals and positive training sessions. Get your puppy used to these sounds while they are having fun with you. If they remain confident and focused on their play, you can then slowly turn up the volume, being careful not to move too fast. You don’t want your puppy to become afraid. If they show signs of stress, take the sounds back down to a level where they are comfortable and move more slowly. Soon, your puppy will expect something good to happen when you turn on the fireworks sounds. Remember to have plenty of treats on hand for your puppy the first time fireworks start in your neighborhood. Some dogs can tell the difference between the CDs and the real thing. If you live with an older dog that is scared of fireworks, try to separate them so the puppy doesn’t pick up on their fear. You don’t want your puppy to decide these loud booms are scary based on other pack members! I understand that you want to experience life adventures with your dog. However, fireworks are often too stimulating for many dogs. You also don’t have control over the environment. Dogs can get hurt around fireworks. They have been known to attack fireworks or eat them, resulting in internal injuries and death. Even falling ash from fireworks can burn their coat. 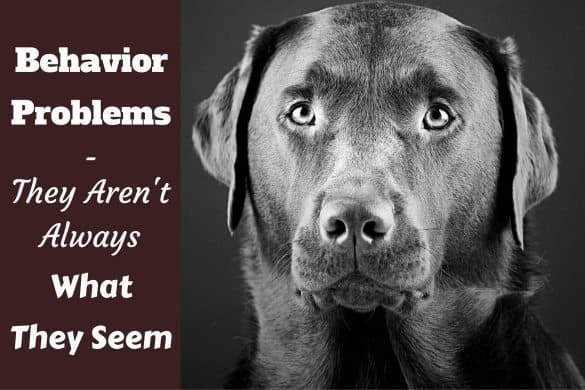 Sadly, one bad experience is often all it takes for a dog to develop a phobia. Unless there is some need, such as a service dog that needs to be able to accompany their owners anywhere, it’s better to train your dog not to fear fireworks from the safety of your home. Once you know your dog is comfortable with the sound of fireworks from inside the home, you can then slowly train them using sound therapy to accept the noises even when you aren’t around. To do this, first get them comfortable with the firework noises with you at home. Then, leave for short periods. If they handle this well, slowly extend your absence until your dog is fine with fireworks sounds whether you’re home or not. You may be reading this article because you already have a dog with a firework fear. While it would be nice to go back in time and acclimate your dog to firework sounds as a puppy, there are still ways to slowly desensitize your dog to fireworks while inside the home. You can employ the same sound therapy method used with puppies by using the fireworks CD and playing it at a very low volume when good things happen to create a positive association. Play the CD during meals, play or fun training sessions. You can then slowly turn up the volume as your dog associates the sounds to good things, not fear. Remember, don’t go too fast with the increase in volume. If your dog starts to show anxiety, drop the volume back until you can get their attention back on the food or play session. You have to go at your dog’s pace. Some people also try to add the light flashes associated with the visual stimuli, but it’s often harder to implement and not really recommended because you can just avoid the visual triggers by keeping your dog inside. In our neighborhood, the fireworks can last late into the night. This means that we have to take our dogs outside to do their business while fireworks are still going strong. We have one dog with a firework phobia, and we have learned that we need to take him on a leash. This way, we make sure he does his business and doesn’t focus on the fireworks. We also provide him a bit more security by standing with him. Remember, letting your dogs out during fireworks means you might need to stay with them to make sure they don’t run away or forget to do their business because of the distraction. There are many anxiety-reducing products on the market. 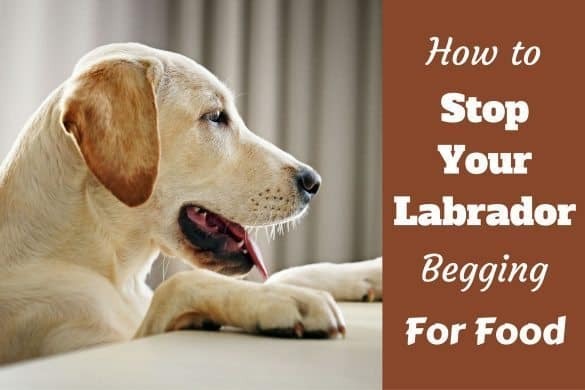 Here are our top four picks that seem to have the greatest impact in helping most dogs handle their phobias. 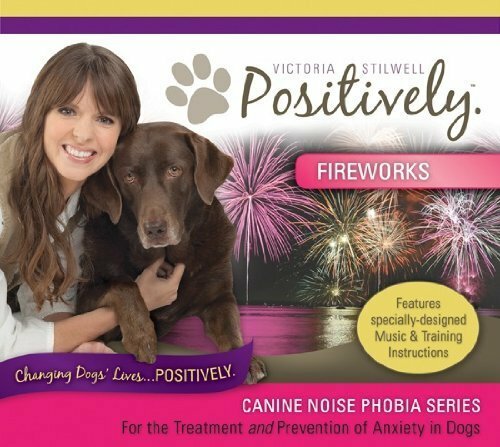 This CD series has multiple CD choices, including a series on canine noise phobias to help desensitize your dog to the sound of fireworks; as well as a calming CD to play when fireworks are going off outside. Also includes other sounds that dogs often react to, such as city sounds and thunderstorms, for desensitization sessions. You must have speakers and stereo equipment available to use it. 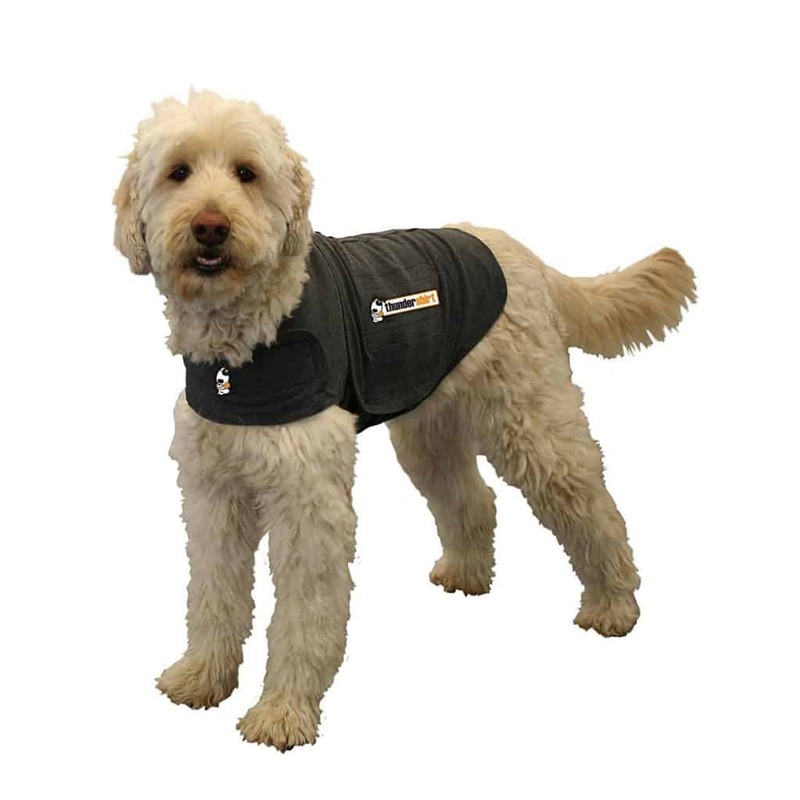 The ThunderShirt is one of the best products on the market for using pressure therapy to reduce fear. In fact, their research shows it has an 80% success rate in alleviating anxiety. 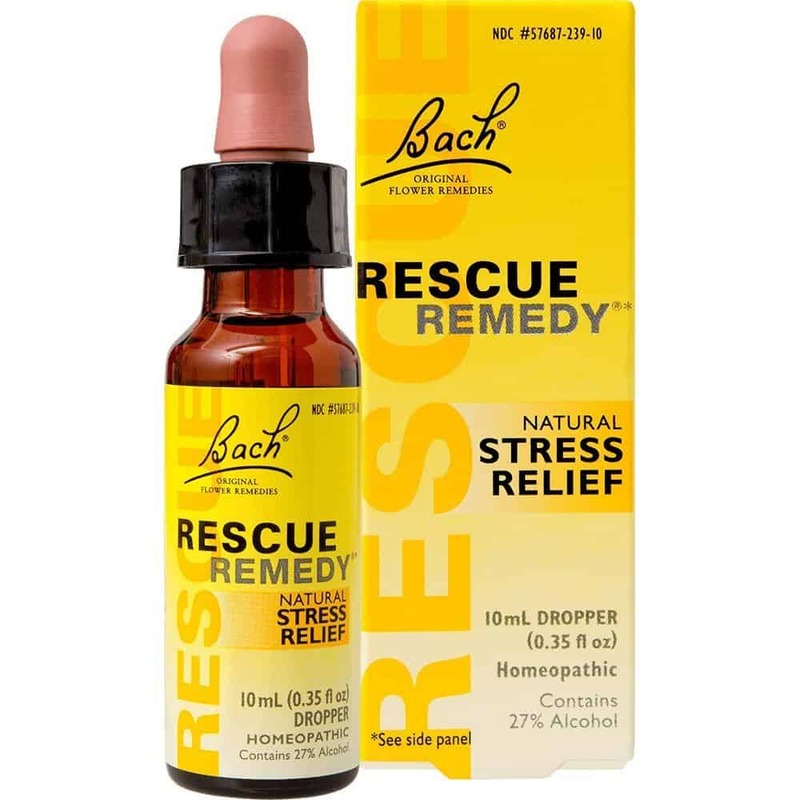 This relaxing homeopathic formulation is also successful in treating both canine and human anxiety. When your pet is upset, the five-flower calming combination of Rescue Remedy can help take the edge off stressful situations. Available in a spray to apply to the dog’s tongue for immediate relief. The D.A.P. relaxation scent utilizes the fact that dog’s experience their world through smell as their first sense. This pheromone is identical to the smell that puppies would experience from their mother’s milk three to five days after birth. This calming smell helps alleviate the puppy confusion of their first few days of life. 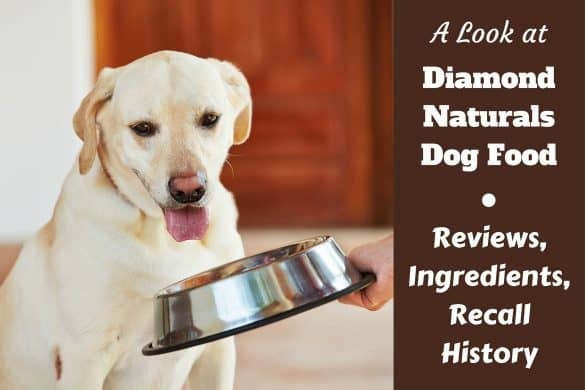 This product has a very relaxing effect on dogs even into adulthood because it’s imprinted positively at birth. 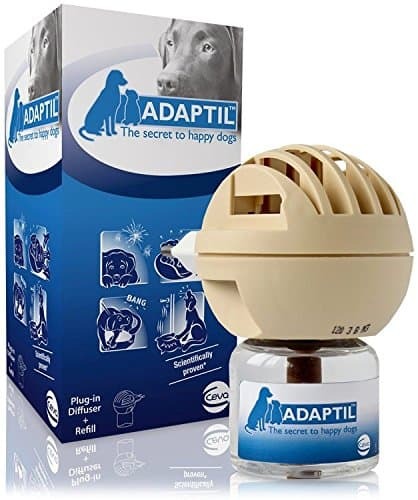 Room diffuser or collar can be used when a dog is left alone. Fireworks are often a dog’s – and owner’s – worst holiday nightmare. Thankfully, since such a large amount of the dog population suffers from firework phobias, an equally large amount of resources are available to help your pet endure firework festivities without too much stress. Just like us, dogs suffer from anxiety. It’s during these times that they need their owner’s guidance to navigate the scary parts of life. Sometimes, we have to sacrifice a little fun, such as a fireworks show, to stay in and support our furry friend. After all, they are certainly there during the bumpy parts of our life journey to give unconditional love and a well-timed tail wag. With a bit of training and patience, many dogs learn to accept the fireworks sounds and understand that this is just another strange human custom they won’t enjoy. If you asked your dog for input, I’m sure they would rather just skip the fireworks and go for a game of fetch.